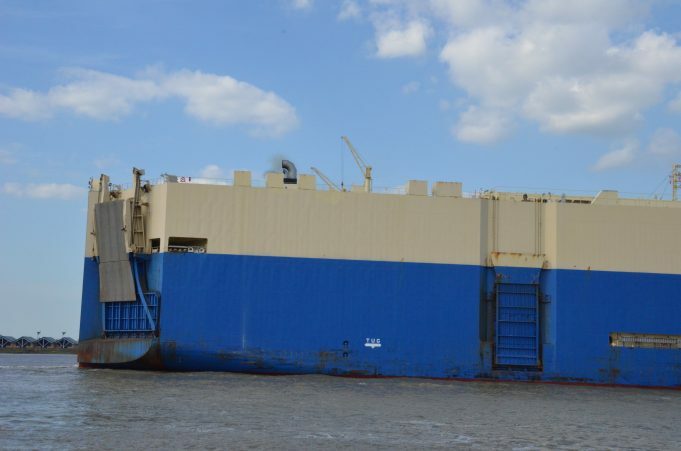 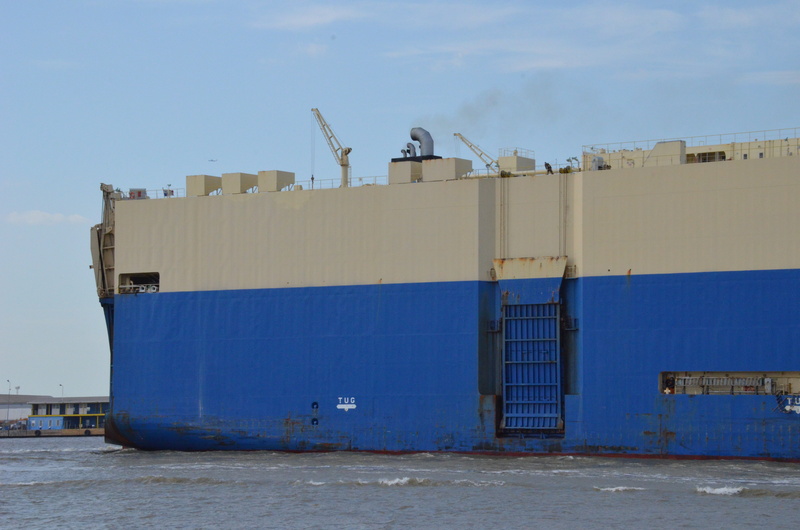 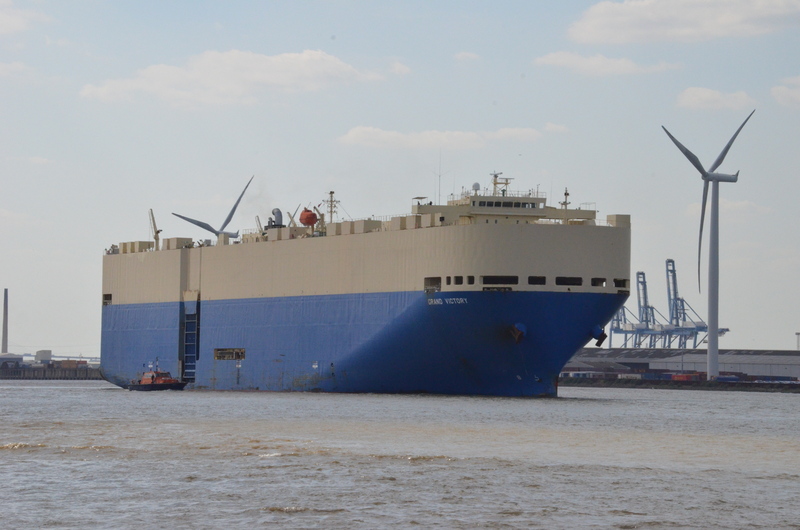 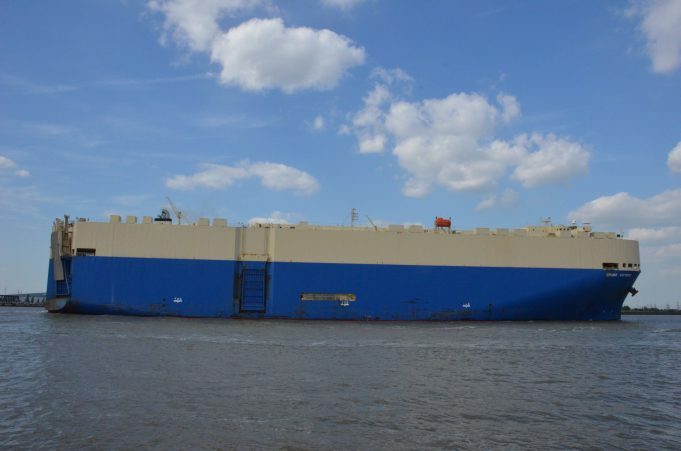 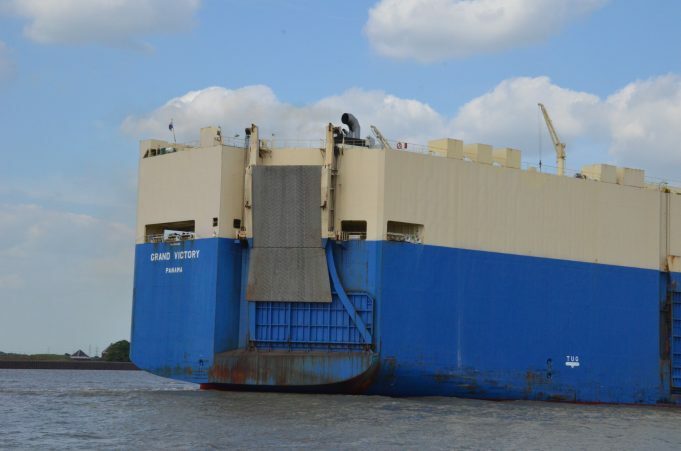 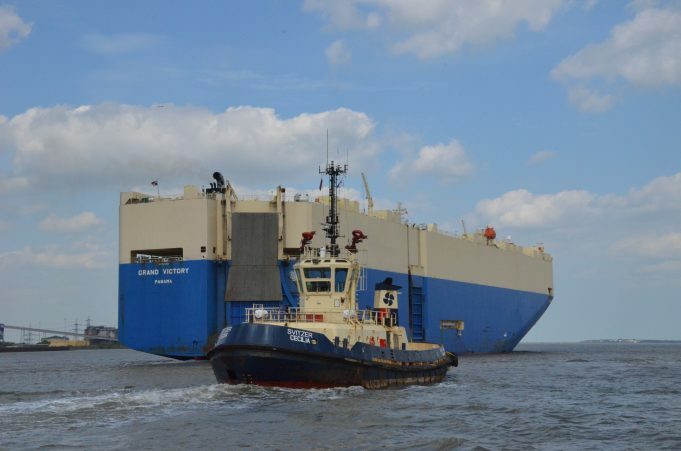 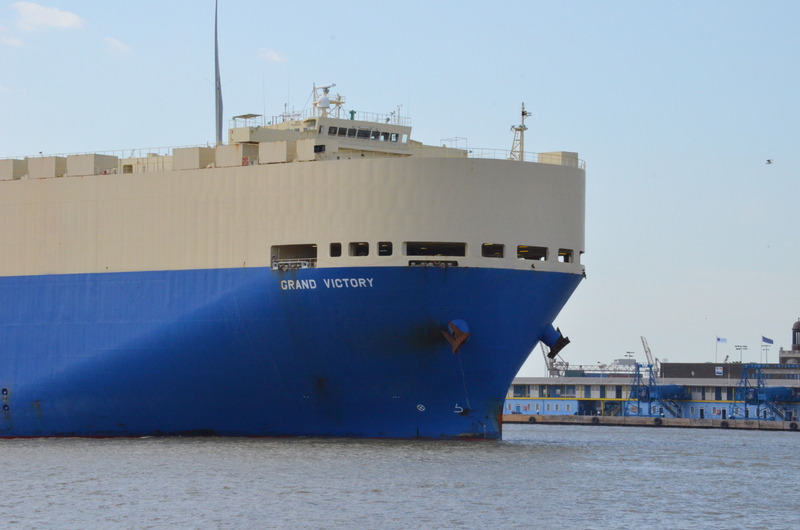 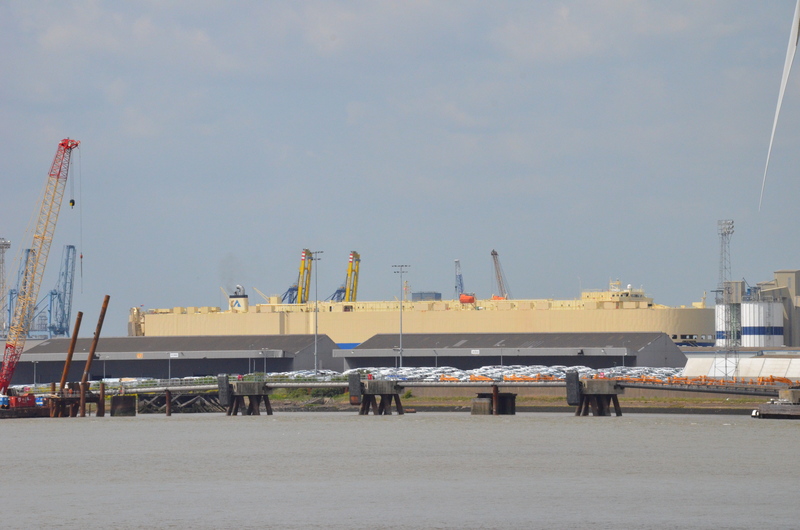 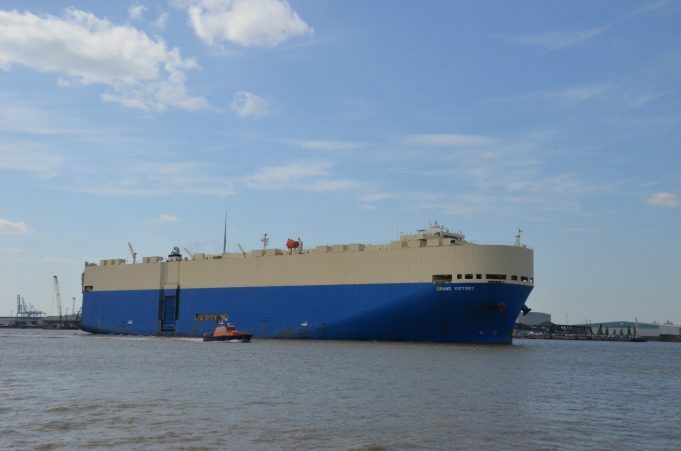 The vehicle carrier GRAND VICTORY on 21/5/2015. 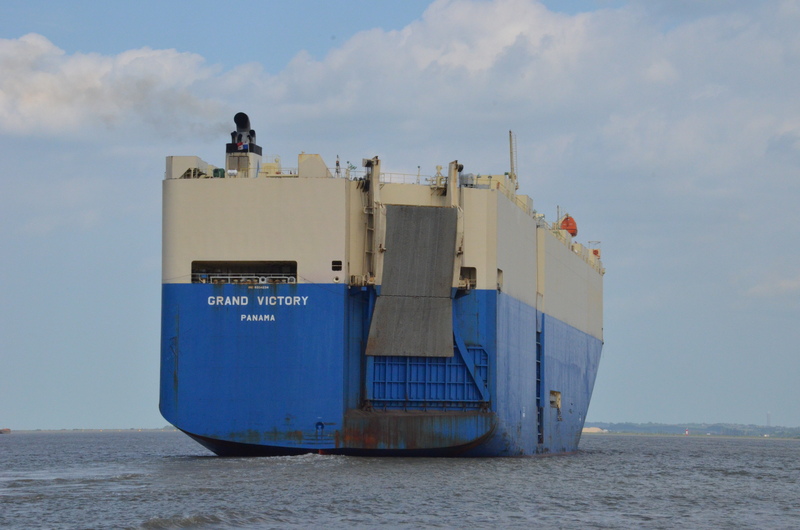 She was built in 2008 at 59,217 grt. 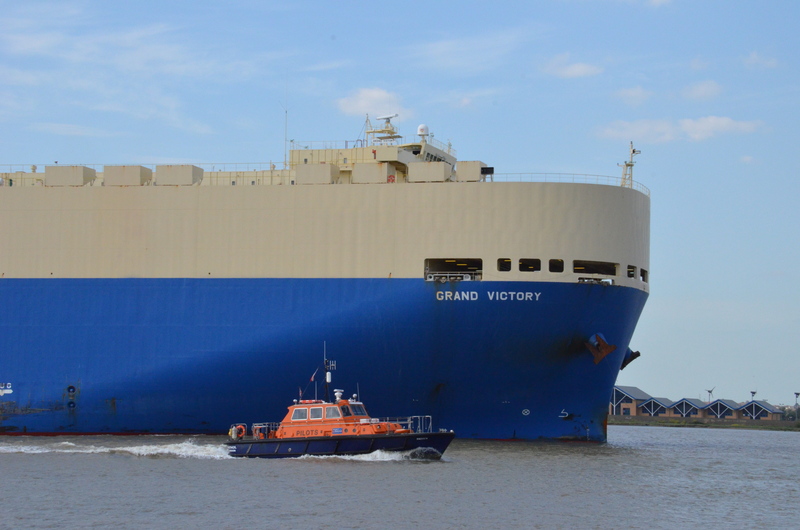 I had waited some 3 hours to photograph her and was extremely lucky to be on the Duchess M and much closer to the giant vessel. 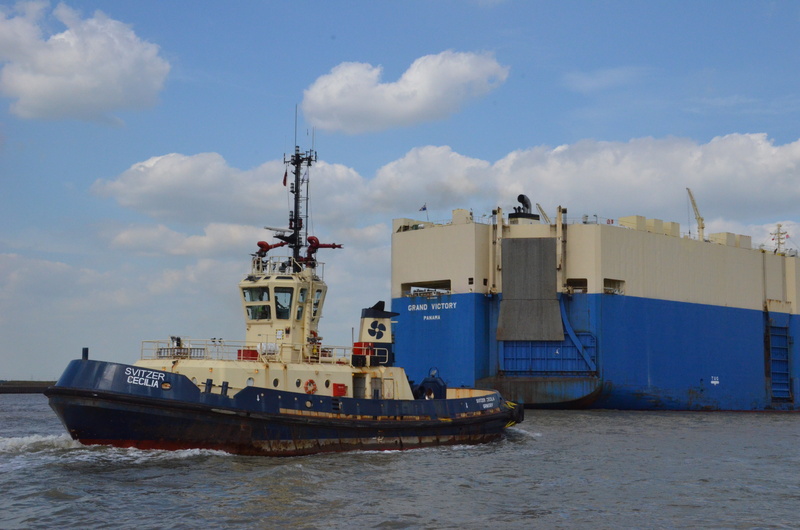 You can see her size by looking closely at the photo with the pilot vessel PATROL alongside.